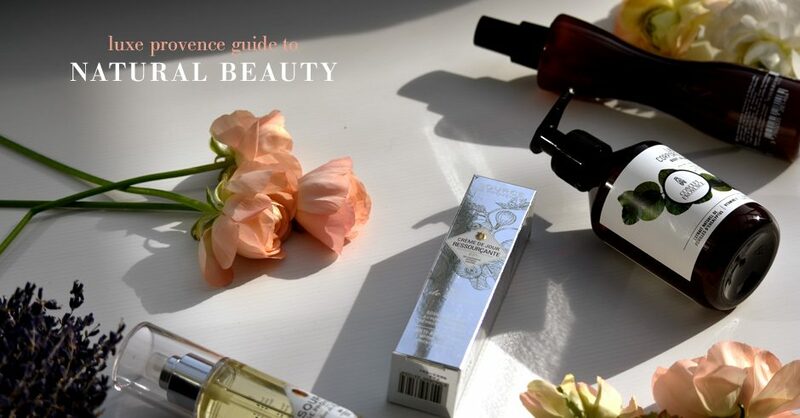 We have tested a variety of Provence beauty brands extensively over the past two years and our selections focus on products made locally with the highest percentage of natural ingredients, authenticity and high ethical standards. 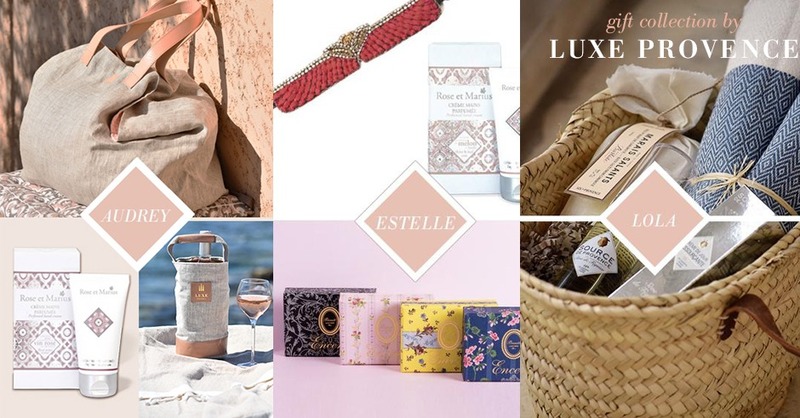 To start things off, we are pleased to introduce a relatively new brand that we adore, Végétalement Provence. 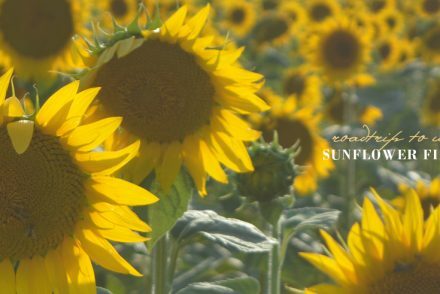 We were instantly smitten with both their formulations, featuring only natural ingredients and perfectly balanced fragrances, and their professional, passionate and talented team behind this award-winning haircare and natural organic beauty brand. The team at VP treated me to their full diagnostic and hair spa experience a few months back and it was an amazing. The products are formulated by a team of veteran luxury industry experts, including leading haircare brands, Wella and Sebastian. For my visit, my hair’s condition was assessed and then treated with the perfect spa-sensorial prescription. I left my visit with my hair noticeably silky soft, possessing lots of natural shine. I was treated to a styling and blow-out by celebrity hair artist, David, who gave me the perfect balanced style of edge and finesse. My favorite products are their Brume Hydratante leave-in conditioner and their Potion Magique, one of which will be featured inside our V10: Coquine Collection shipping next week. 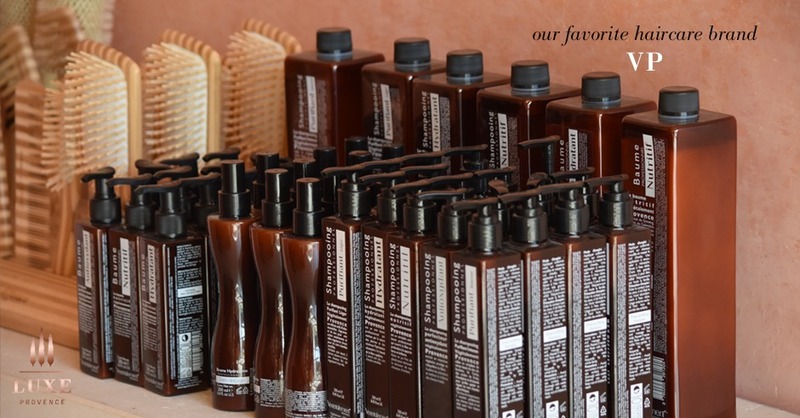 The brand has won numerous innovation awards for it’s haircare and men’s “Barbe” line, which is 100% organic. VP has created a comprehensive professional and consumer line of haircare featuring all the benefits of natural vegetable and essential oils from the Mediterranean to create a revolutionary natural line derived from ancestral know-how. 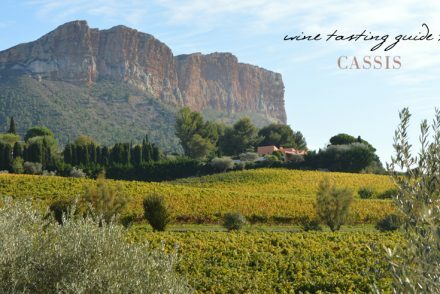 The arid lands of Provence contain a wide variety of “wild” plants whose aromatic and medicinal properties have been known since ancient times. 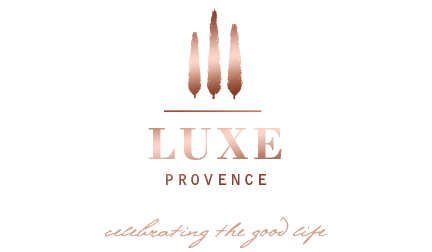 This is why we have chosen to feature this authentic Provence brand with high product standards. 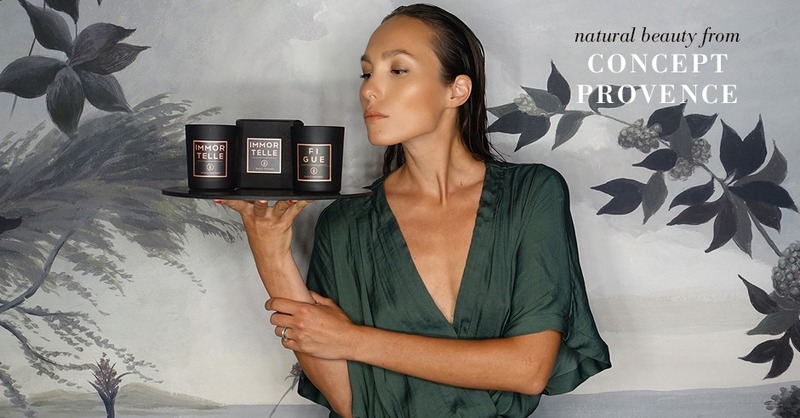 Our next favorite natural and vegan-friendly beauty brand is, Concept Provence. A long-time favorite of ours founded by a lovely local couple, Jean-Paul and Renata Negroni, with offices just a hop, skip and jump away from ours. We love this brand for its authentic, yet modern and clean approach to creating natural beauty products. Our favorites are the masculine-leaning fragrances of their body milks, liquid handsoaps and candle lines (which we featured in last year’s holiday curation). We have selected one of our favorite fragranced body milks as a surprise in this season’s V10 curation as well, designed to deliver a Provence spa experience to your doorstep. 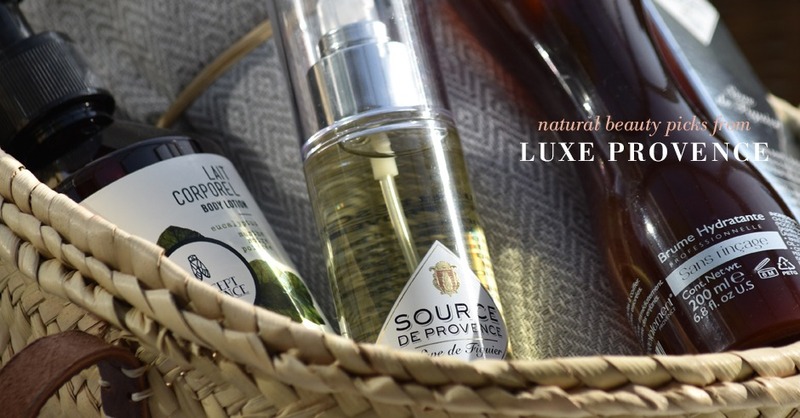 Our next Luxe Provence natural beauty brand selection, is Source de Provence. 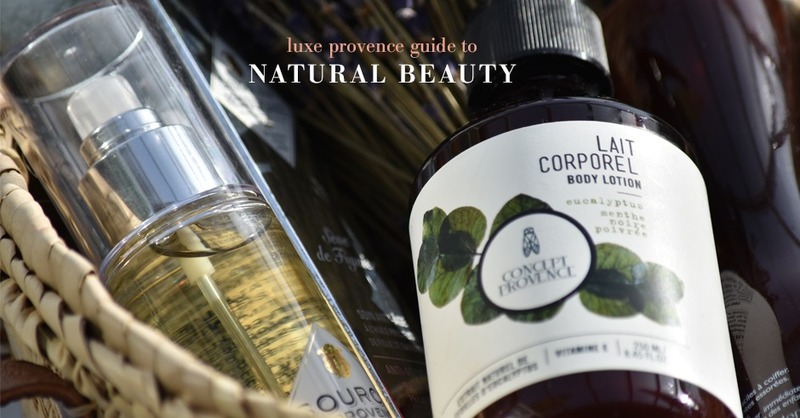 This Provence beauty brand offers up 99% natural formulations for their product lines. Their fragranced fig products are completely sensual and unique in the market. We adore their Fig Sap fragranced Creme de Jour Ressourcante and their gorgeous Huile Seche, or Dry Oils, perfect for both body and hair. 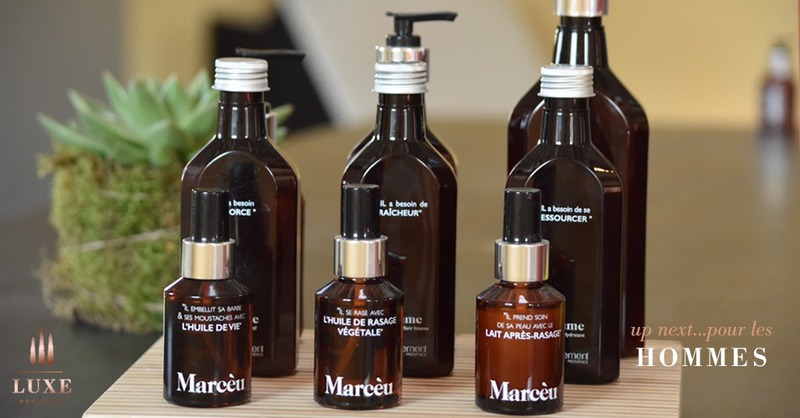 This brand continues to deliver ethically made natural skincare from Provence of high quality. And last but not least, we always keep a hand cream of either Melon Basil or Vin Rosé from Rose et Marius in our purse (delivered last season in our Blush curation), and adore the Olive Oil Body Butter from brand, Panier des Sens, for extra moisturizing with its lovely subtle fragrance. (This one is widely available in the USA, hence not in our boutique…). Shop our natural beauty favorites in our holiday gift collections or receive a sampling inside our next Blush curation shipping next week, but hurry we have only a handful left!